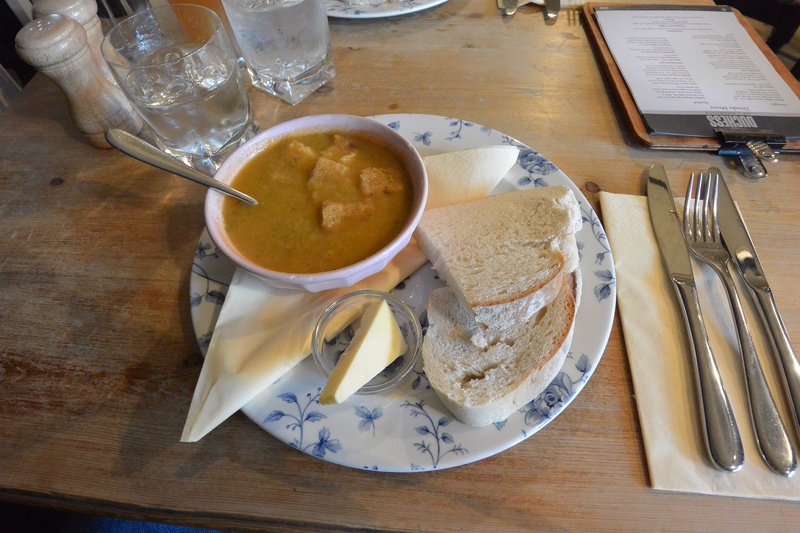 Mixed vegetable soup at The Duchess of Cambridge, Windsor, England. 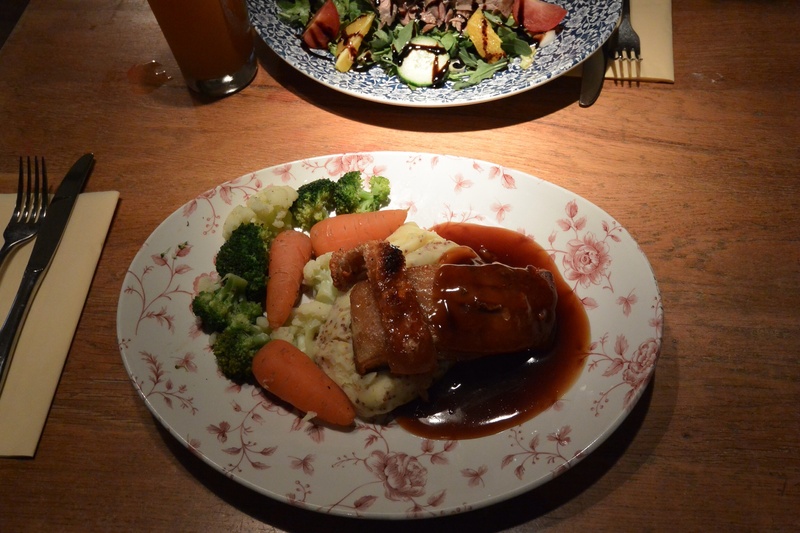 Slow roasted pork belly with whole grain mustard mash at The Duchess of Cambridge, Windsor, England. 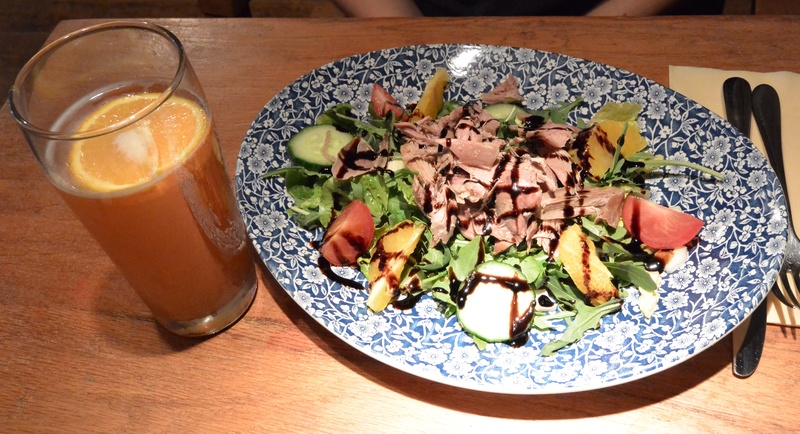 Shredded duck salad at The Duchess of Cambridge, Windsor, England. 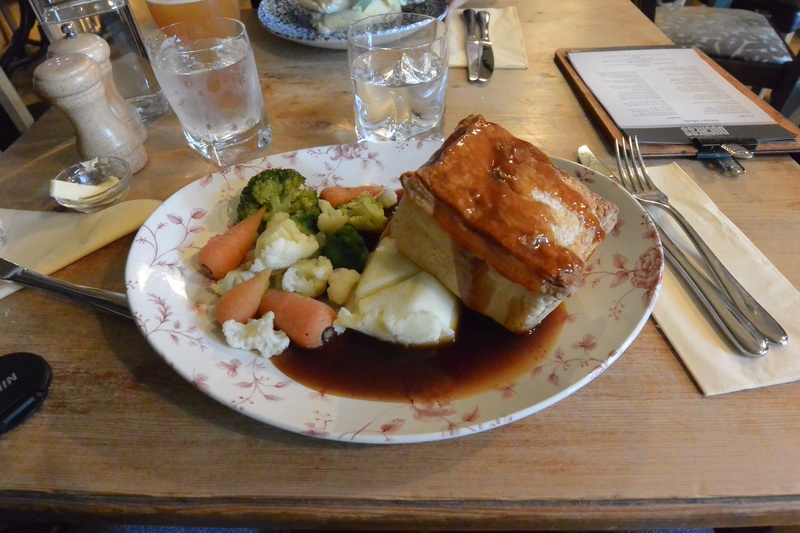 Chicken and Windsor Ham Pie at the Duchess of Windsor Pub, Windsor, England. 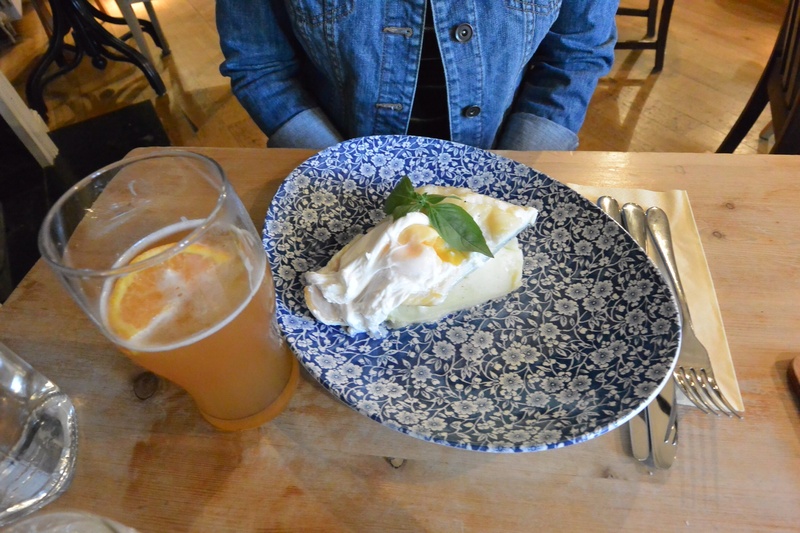 Smoked haddock with a Blue Moon beer on the side at The Duchess of Cambridge, Windsor, England. Service is very good. You’ll also find friendly people working the bar where you might want to linger for a chat and a great variety of beer and whiskey. Enjoy every meal, especially when you travel.